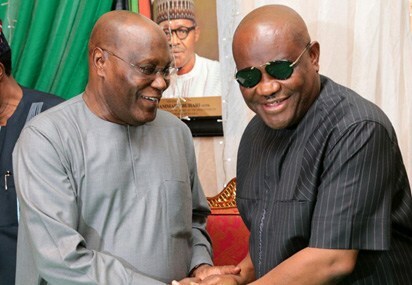 This was revealed by Facebook user, Joy Oyaghiri-Fagbemi who stated that the man who named his new born twins Atiku and Wike, is said to be a former member of the APC who decamped to PDP the day Governor Wike visited Abua Odual for the PDP campaigns. An Odual man from Ward 11 identified as Saveme Akpila, a former member of the APC who decamped to PDP the day Gov. Wike visited Abua Odual for the PDP campaigns, has named his newborn twins Atiku and Wike. After the PDP Presidential Candidate and Gubernatorial Candidate of Rivers State, respectively.